Large commercial self-propelled floor scrubber for tile or wood floors. Great for large banquet halls, church floors, school halls, etc. Operates on 120 volts - attached 65' electrical cord. Applies cleaning solution, scrubs and squeegees tile floors in one pass. Can strip floors as well as scrub. Requires 17" black stripping, red scrub, or white polish pads. Leaves floors clean, dry, and ready to walk on. Solution tank capacity: 13 gallons. Recovery tank capacity: 13 gallons. Transport dimensions: 42" long x 29" wide x 39" tall. Plug into a grounded electrical wall outlet. 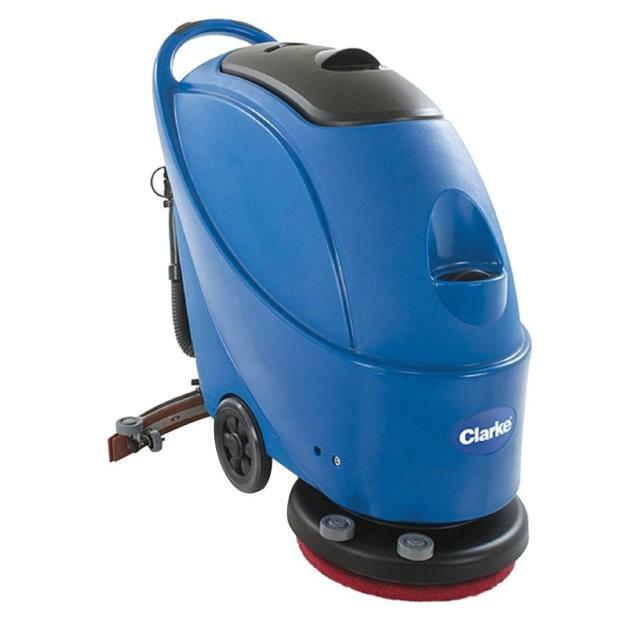 * Please call us with any questions about our autoscrubber floor 17 inch rentals in Oak Grove MO, Blue Springs MO, Independence MO, Lexington MO, Odessa MO, Independence MO and Western Missouri.